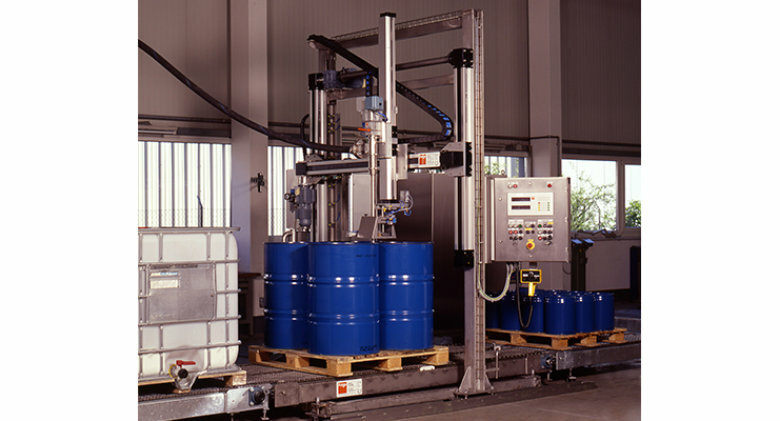 Series 70 is the Advanced Line range of automatic pallet fillers. 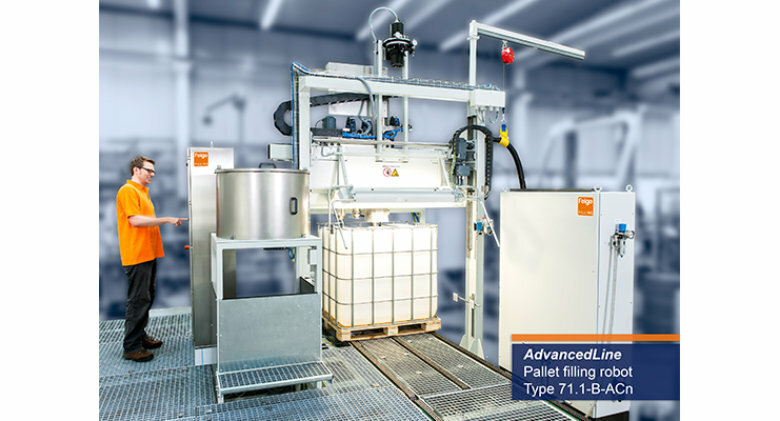 The gantry-type pallet filling robot type 71 is designed for the fully automatic and calibrated filling of drums and containers on pallets or IBC. A carrying chain conveyor moves pallets with empty containers onto the scale base. While the pallet is moving, a line camera scans the surface and automatically locates the positions of the filling openings. At the same time, the camera system checks whether the openings make sense or not (plausibility check). Afterwards, the containers are opened one after the other, filled, closed and if required, sealed. 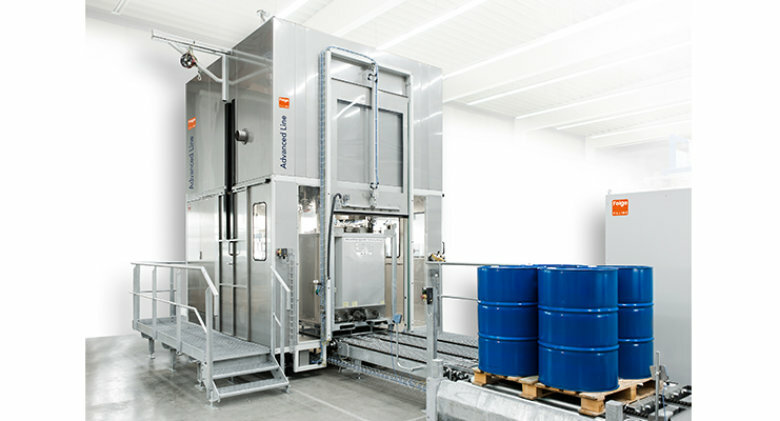 The electro-pneumatic control with the scale electronics and the touch panel to operate the robot are incorporated in a stainless steel cabinet at the filling robot. Essential accessories are drip collecting, gas hood or automatic earthing in case of hazardous area application (ATEX). A Remote Maintenance feature for the image processing system is available. This feature allows Feige service personnel to configure new container types.